Ukrainian brand Ochis have launched a new campaign to turn your daily caffeine hit into designer eyewear. 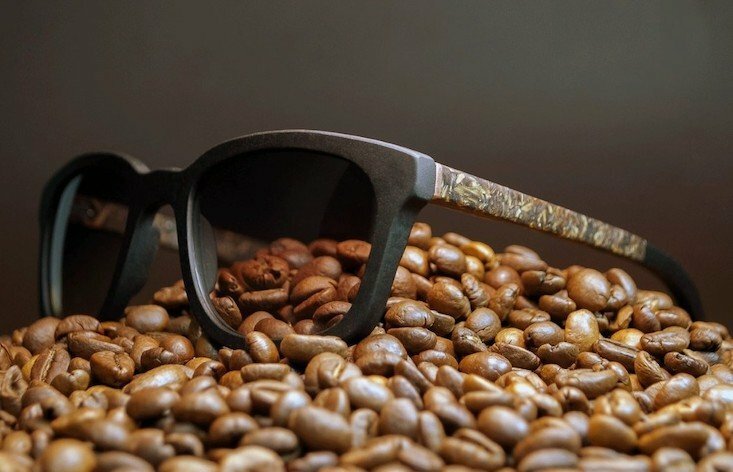 The group’s new eco-range, Ochis Coffee, features glasses frames made from coffee grounds: the mulchy coffee bean byproduct that usually gets thrown away before your drink has cooled. The grounds are mixed with flax and a biopolymer based on vegetable oil before being moulded into a brick shape. The frames are then cut using a computer. Founder Max Gavrilenko says that the frames are durable, lightweight — and even smell of coffee.